The crystal clear air, ancient forests, medicinal herbs and mineral springs in the embrace of the Western Rhodopes make this place a favorite destination for health and spa tourism. Relax from everyday stress! Indulge in therapeutic massages, beauty treatments and relaxing walks among the amazing scenery. Take care of your health, release the tension and fatigue! Feel the spirit and traditions of the Western Rhodopes! Here food is healthy and delicious, and the warm Rhodopian hospitality will refresh and inspire you! The mineral water in the town of Bratcigovo is mostly used for drinking. Suitable for gastrointestinal, renal and urological and endocrine diseases. Mineral water from Bratsigovo is suitable for everyday use by children with metabolic disorders and obesity. The Devin Municipality is famous for its treasury of mineral water with temperatures between 16 ºС and 76 ºС. The healing Bedenski bani (Bedenski baths) are located nearby the village of Beden. The water is hot, the temperature is 74-76 ºС, with significant flow, low mineral concentration, it is hydrocarbonic, sulphatic and sodic, with moderate quantities of fluoride, with 6.9 pH and suitable for outdoor spa. Within the town of Devin itself there is a soft spring water fountain that makes for an excellent table water. 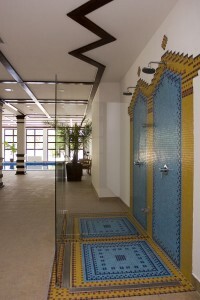 There is also a mineral water fontain which is suitable for balneotherapy and medical treatment. When used for internal balneological treatment, it is important to keep strictly defined doses. When used properly, the water has a beneficial effect in the treatment of kidney and urological diseases, gastrointestinal diseases, hepatobiliary diseases, metabolic diseases – different types of diabetes, gout and hypertension, diabetes mellitus, chronic professional intoxication and for individuals exposed to harmful substances. The village of Mihalkovo, on the other hand, is known for its unique deposits of naturally aerated healing water suitable for the treatment of cardiovascular diseases. Diseases of the musculoskeletal system: arthritis-rheumatism, traumatic orthopedic, occupational diseases, neurological diseases of inflammatory, traumatic and toxic nature, gynecological diseases. For sports – prophylactic purposes in outdoor and indoor pools / after cooling /. Reproductive system diseases – endometritis, parametritis infertility etc . Diseases of the heart – cardiovascular system – hypertension, ischemic heart disease, post-attack conditions. Skin diseases – of inflammatory, allergic and other nature – eczema, dermatitis, psoriasis and the like. Spa hotels in the town of Devin have a modern consultative and diagnostic centers and highly qualified specialists. The programs provided in the spa hotels comply with the health of guests and their individual needs. Besides medical advice, multitude of unique spa treatments, massages, mud treatments and different therapies with mineral water and even with semiprecious stones are offered.